In the past, a drawstring bag was used for sports. 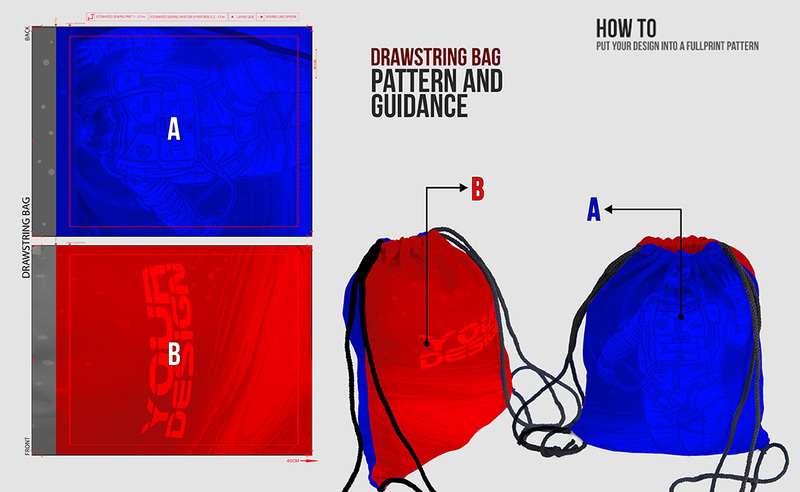 Multifunctional, light and convenient, it was a key essential amongst sportsmen.Today, drawstring bags function as a fashion statement. 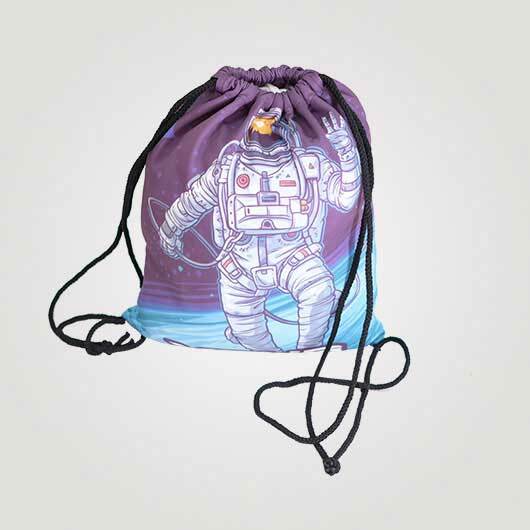 Numerous youngsters and teens can be seen carrying a printed drawstring bag to school, for travel, or for a weekend out in town. Due to the growing trend of drawstring bags in modern fashion, its difficult to be prominent when everyone is riding the trend. 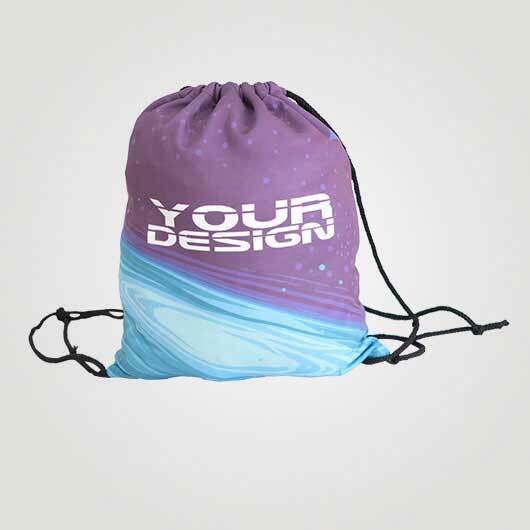 On the other hand, if you want to stand out from the crowd, you would need a custom drawstring bag. 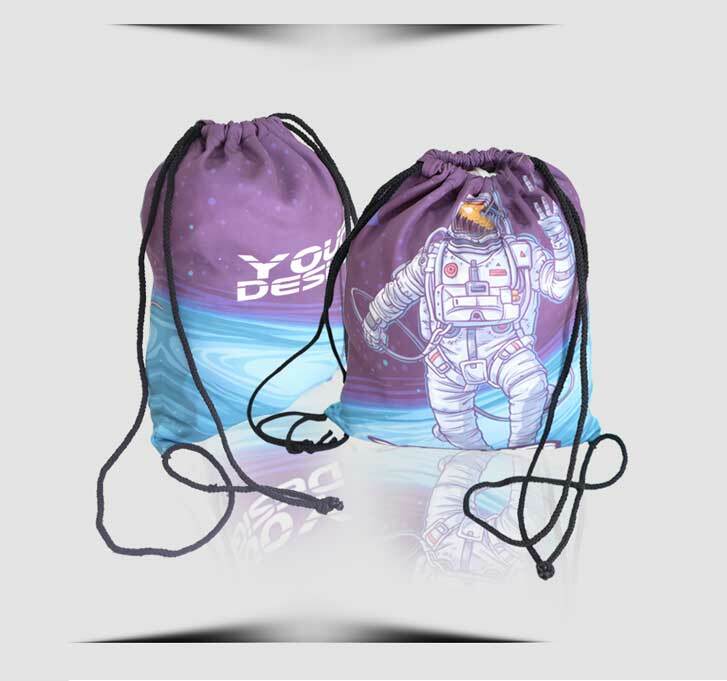 At Custom.sg we provide superb customization services on our tip-quality drawstring bags. Crafted using sthenolid material and thick polyester stretch, our custom drawstring bag is soft, lightweight but also built to last. It comes equipped with durable and strong rope to fit snuggly on your shoulder. When you choose to shop at Custom.sg you can let your imagination come to life on print when you custom-make a drawstring bag at our workshop. You can insert any picture or color and text you want on both sides. Whether you want something quirky, cute, edge or even printed with your favourite pop culture icons, the custom drawstring bag is yours to design. 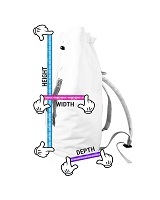 What makes Custom.sg the best place to shop for a custom drawstring bag? 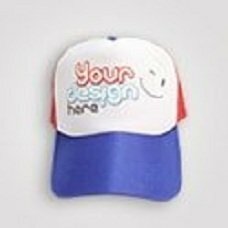 As a competent and professional printing company based in Singapore, we offer only the best of the best apparel. We make sure nothing that leaves our workshop is anything short of excellence. Furthermore, the team at Custom.sg is passionate about delivering a frills-free experience for our customers. 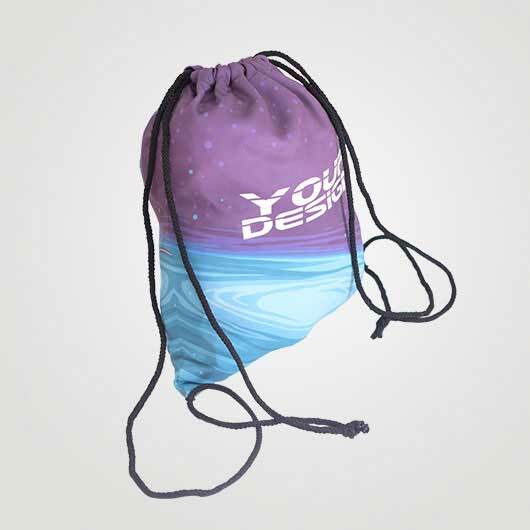 You can enjoy a hassle-free shopping and designing experience when you choose our custom drawstring bag! If you have any questions, feel free to get in touch with our team! 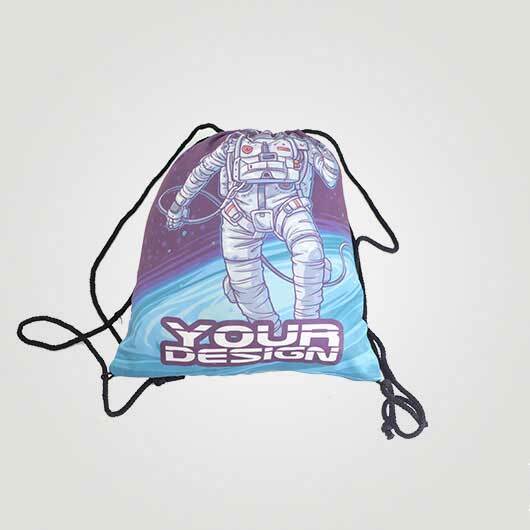 Make Custom Drawstring Bag with Your Own Printing Design in Custom.sg! 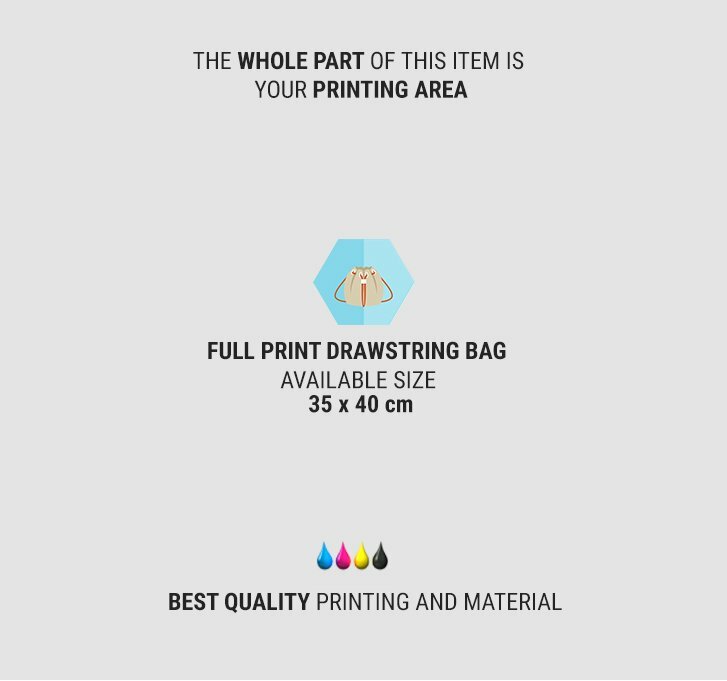 Either for your own collection or for business, drawstring bag now can be printed with your own custom design aligned to your needs. 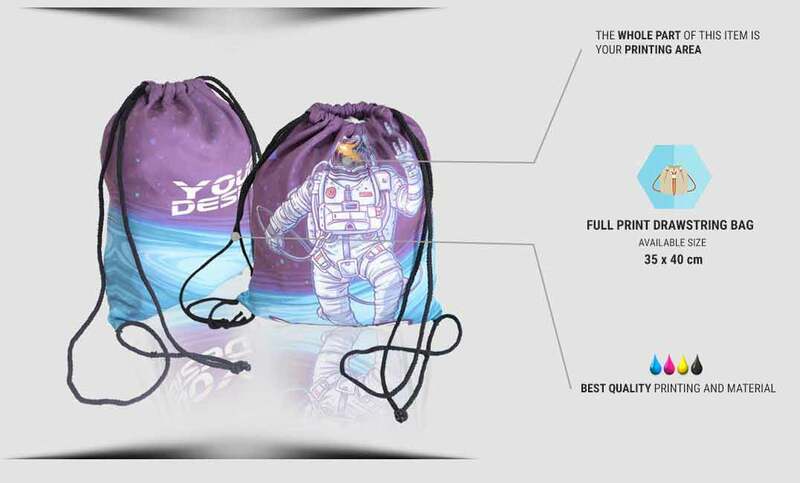 Custom.sg provides high-quality and quick custom drawstring bag printing service, handled by professional hands, and supported by the latest digital printing technology. All the finished products always satisfy our customer. Order your bag online via our website. The safe transaction can be done by transferring to our official bank accounts. Your order must be arrived at your own hand by our most reliable delivery service. No Minimum Order. Order 1 pcs or in a huge amount for reselling it, all handled with the same professional service. Do you want to start a business with zero capital? Dropshipping system is available for anyone who wants to be our reseller. Come order your own design printing drawstring bag only in Custom.sg!